As the age-old proverb says, "Give a man a fish, and you feed him for a day. 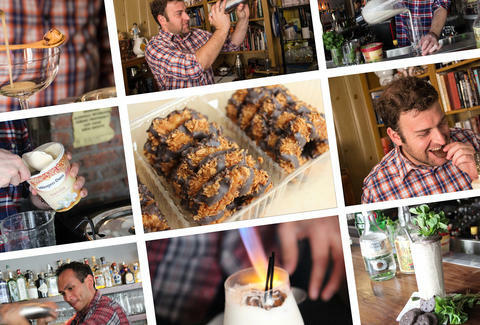 Give a man some Samoas & liquor, and he'll turn them into an awesome cocktail." 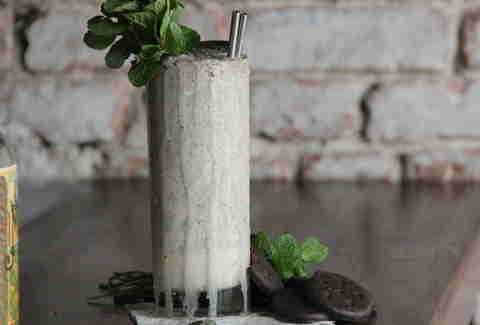 And since Girl Scout cookies are just now going on sale, we sexted a trio of the country's best drink-mixers (one from SF, one from Austin, one from NY) and asked them to teach us how to make liquor versions of everyone's favorite Girl Scout cookie flavors. The Samoa by Kevin Diedrich, Jasper's Corner Tap, San Francisco How to make it: Measure out 2oz bourbon. Drink it. Nicely done! Okay, now measure out 2oz more of bourbon, plus 1oz cream, 1/2oz creme de cacao, 1/2oz egg white, and a scoop of vanilla bean ice cream. 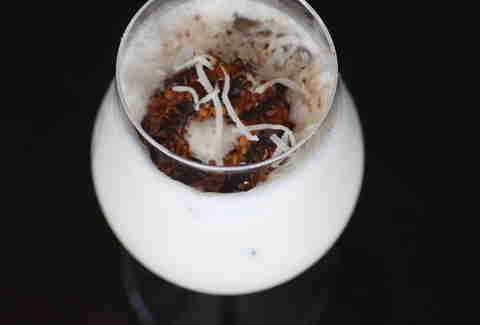 Shake it all w/ ice, then top with the namesake cookie and shredded coconut (toasting coconut with flame torchy thingy optional). 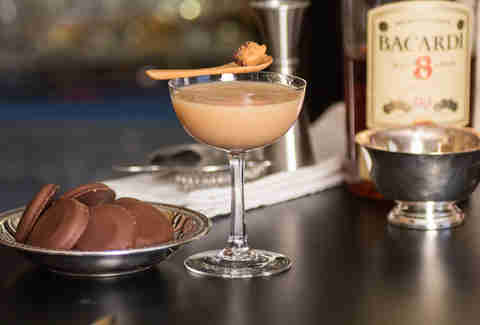 The Tagalong by David Alan, Bar Consultant/Author, Austin How to make it: Take 2oz rum, 3/4oz peanut rum creme, 1/4oz vanilla creme de cacao, and 2 dashes of mole bitters, shake it all vigorously with ice and strain it into a coupe. Now garnish with a mini-spoon scoop of peanut butter. Whatever you do, don't Skippy that step.